Kuala Lumpur: Renegotiating the Trans-Pacific Partnership Agreement (TPPA) to make significant changes may be difficult, says Datuk Seri Mustapa Mohamed. In a response to President Donald Trump’s indication that the United States might rejoin the trade deal, the International Trade and Industry Minister said the 11 member countries in the agreement had achieved a balanced deal for all parties involved. 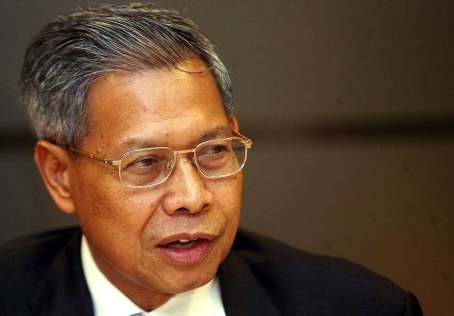 "Renegotiation will not only take a long time, but also alter the balance of benefits for parties," he said in his twitter account @Mustapa_Mohamed on Friday ( 13 April). Trump had told Republican senators on Thursday (12 April) that he had asked United States Trade Representative Robert Lighthizer and White House economic adviser Larry Kudlow to re-open negotiations. However, in his Twitter post a few hours later, Trump said the US would "only join TPP if the deal was substantially better than the deal offered to Pres Obama. Malaysia and 10 other countries decided to push ahead with the free trade agreement and signed a deal now known as the Comprehensive and Progressive Agreement for Trans-Pacific Partnership (CPTPP) in March. The 11 countries are Australia, Brunei, Canada, Chile, Japan, Malaysia, Mexico, New Zealand, Peru, Singapore and Vietnam. The CPTPP will incorporate the original TPP agreement but suspend 20 provisions, 11 of which are related to intellectual property.